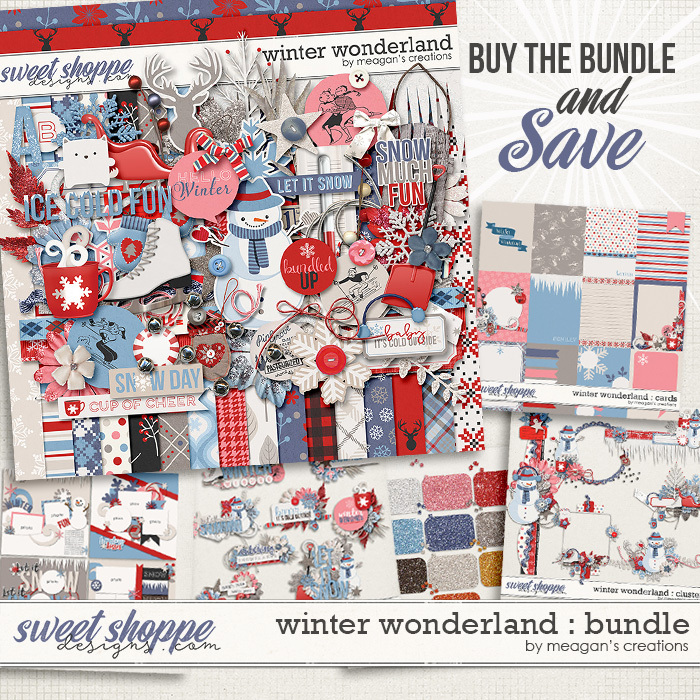 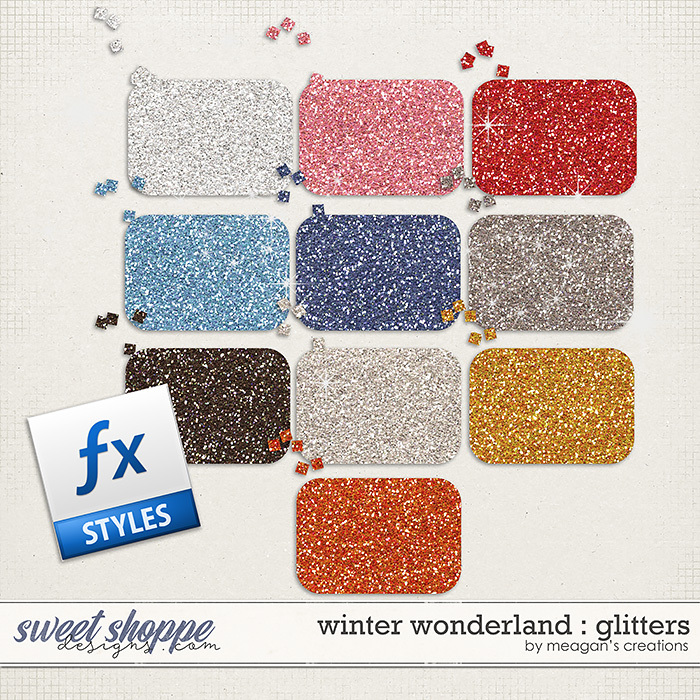 The entire Winter Wonderland Collection in one money-saving bundle! 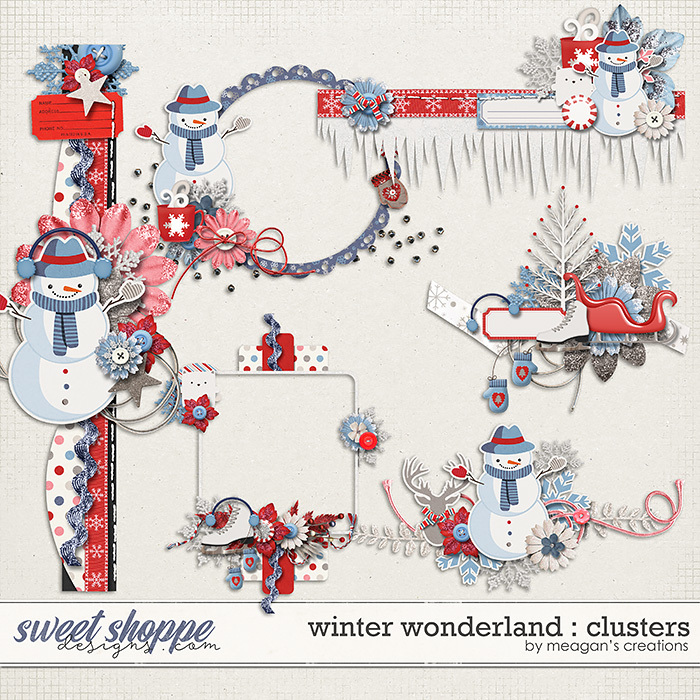 You get the kit, the word art, the cards, the glitters, the clusters, and the templates for 30% off the full price! 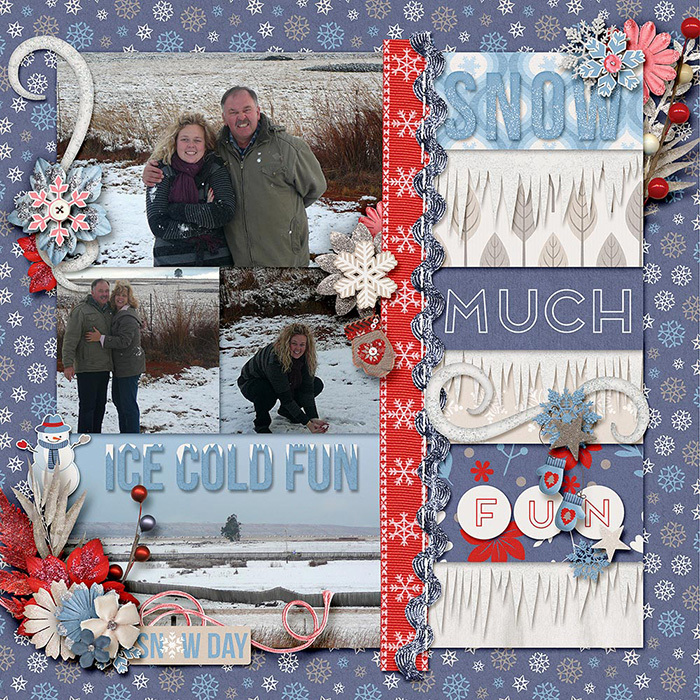 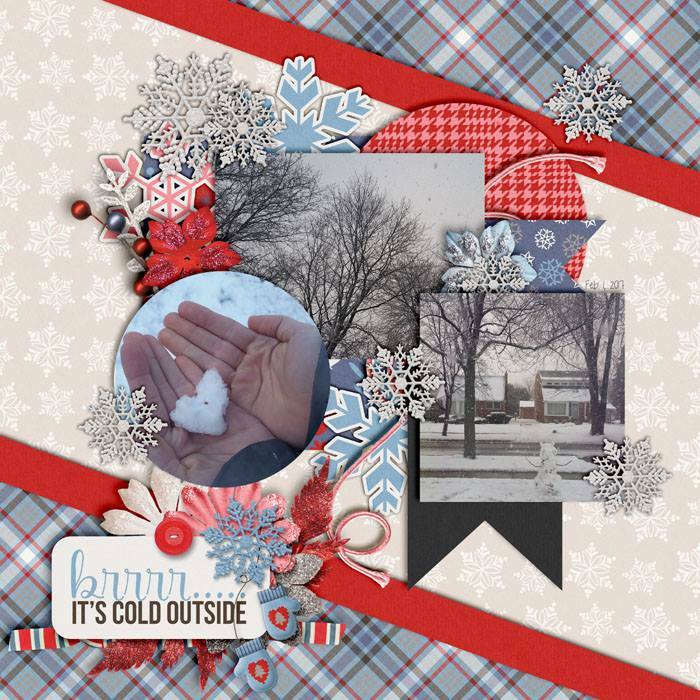 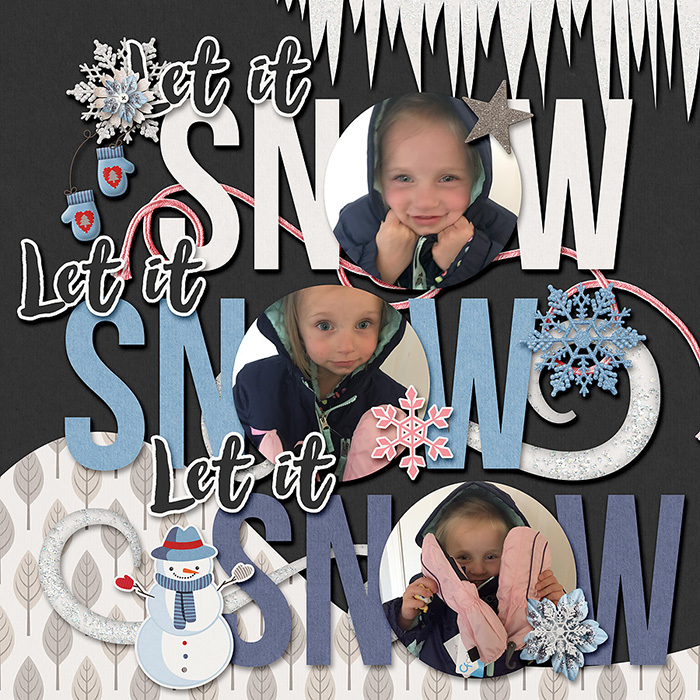 Preserve those wintery memories with this awesome collection packed full of great elements to contrast with your fun photos! 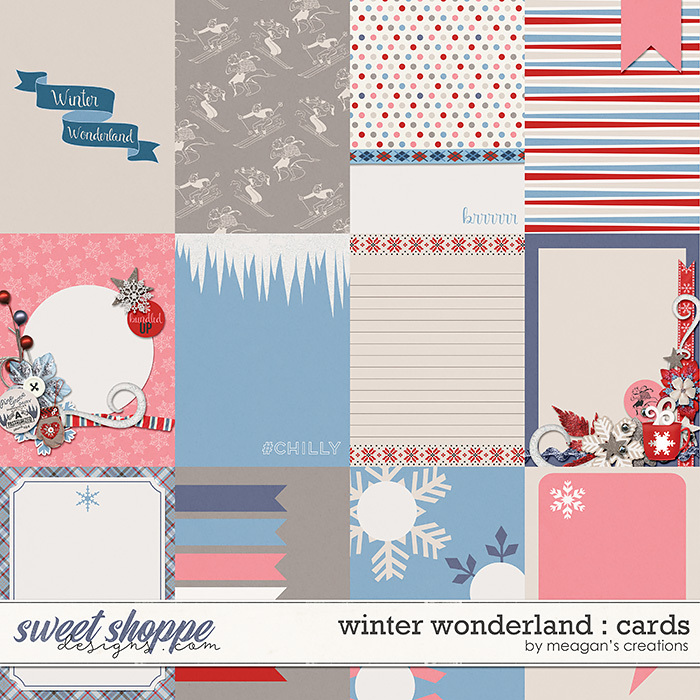 With great themed elements as well as a some generic pieces, you'll love the versatility of this collection!